It's unfortunately about that time of the year again. Time for itchy heads. If you are anything like me, you freak out at the first mention of head lice! 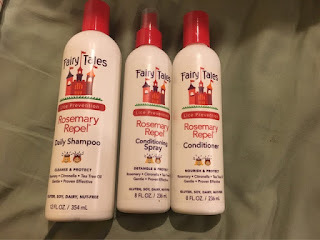 I am thrilled to be able to partner with Fairy Tales, because it truly is one of my go to mom products. I constantly hear from people that there is no way to prevent head lice. Let me tell you right now that it is NOT TRUE. 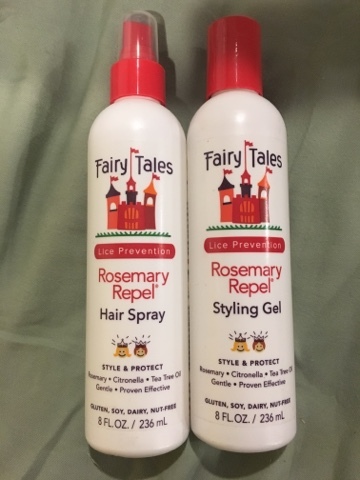 Did you know that Rosemary Repel Shampoo and Conditioning Spray were shown to be 96% effective at repelling lice when used together. 96%!!! We use Fairy Tale every day in our house. If someone takes a shower or a bath, it is Fairy Tales they use on their heads. ALWAYS. 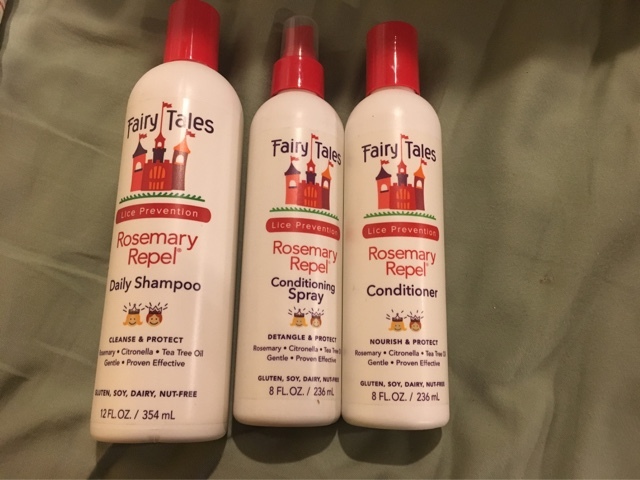 It is a mild shampoo and conditioner, and the kids actually love it. When there is an actual outbreak at their school, I just spray them down with hairspray or use the hair gel before school. They wash their hair about every 2-3 days after school (remember-- lice like clean hair). The gel and hairspray have never left their hair sticky at all. If you do get lice, the Fairy Tales Lice Good-Bye Survival Kit is your go to product (and yes we keep one at the house just in case). 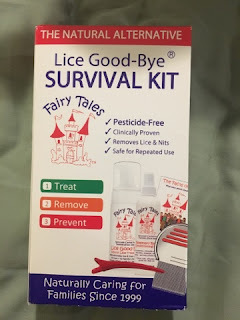 Truly, if you want to beat the super lice this year, get Fairy Tales!